Electra is the first Greek play produced in the Old Vic’s newly reconfigured in-the-round setting, in what marks Kevin Spacey’s eleventh and final season as artistic director. With no interval and strictly no re-admittance, the audience have only one option, and that is to become utterly absorbed in the action or face a rather dreary 90 minutes. Carefully judged by director Ian Rickson, he ensures that it is the former and not the latter we experience, with designer Mark Thompson’s staging also adding enormously to the atmosphere by mirroring that of a Greek amphitheatre. 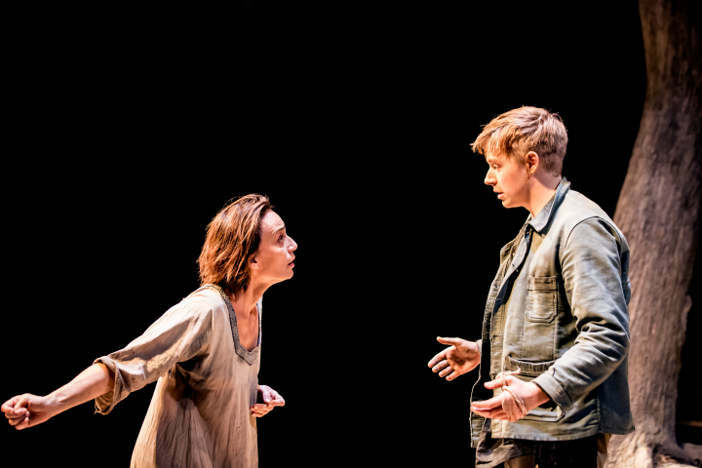 Make no bones about it, the Olivier award-winning Kristin Scott Thomas is the star we’ve all come to see and, unlike so many of the West End’s A-list headline acts, she proves well worth having to beg, borrow, or steal a ticket for. Making her Old Vic début, Scott Thomas has worked with Rickson before and is clearly comfortable with the guidance here. She is remarkable in the title role, a woman seeking revenge for her father’s brutal murder at the hands of her mother’s lover, King Aegisthus. She has also undergone a radical physical transformation for the role and, far from her polished red carpet self, as Electra we find her dishevelled, her face gaunt and dressed in hardly more than rags. As the play develops and we become more familiar with the character, we are also made to wonder how much her grief is influenced by her own bitterness at not having married or borne children. Electra has nothing else to occupy her time than the hysterical sobbing and seeking to inspire her siblings with thoughts of revenge. In a stark portrayal of pain and loss, she bewails her father’s demise and criticises her sister, Chrysothemis (Liz White) for living and eating well at their mother’s table, accusing her of being a traitor to their father’s memory. Electra’s ‘eye for an eye’ philosophy and her craving for revenge precipitates the play’s action and before long the grand Diana Quick makes her appearance as their mother and the Queen of Mycenae, Clytemnestra; her majestic poise and bearing beside Electra’s bedraggled, almost lunatic appearance, making us ready and waiting to hear the other side of the story. Clytemnestra asks no forgiveness of her daughter, nor does she deny the blame Electra places at her feet. Instead she justifies her decision to have her husband murdered by explaining her own deep suffering on him having sacrificed their young child. Like her mother, Electra has succumbed to the same need to level the score, and so the bloodshed continues. With music by PJ Harvey, this production manages to balance remaining faithful to the origins of Electra, whilst adding some modern references in an attempt to make it more contemporary. The chemistry between the cast is joyful, and although the female members of the ensemble are the predominant force, there are stand-out performances from Peter Wight as Stranger and Jack Hoxton as Electra’s crusading brother Orestes. The finale is powerful yet heartbreakingly futile; reminding us how little the human condition has evolved over the many years since this play was written. 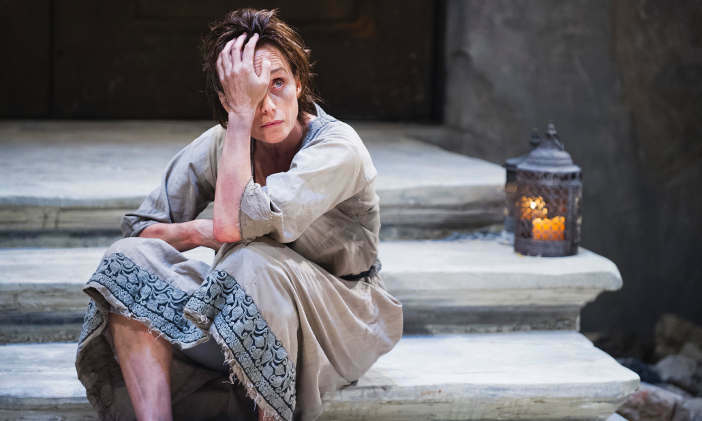 Electra at the Old Vic, London, until 20th December 2014 . For more information and tickets visit the website.